Edward J. Buckley was born in Atlantic City, New Jersey, on August 18, 1924 to Johanna (Buckley) Rydzewski and Carl Coppola. 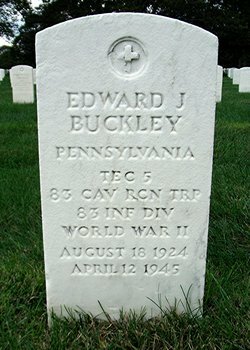 Though he was known to his Buckley cousins as Edward Coppola, his name appeared in the 1940 Census and US Army records as Edward Buckley. 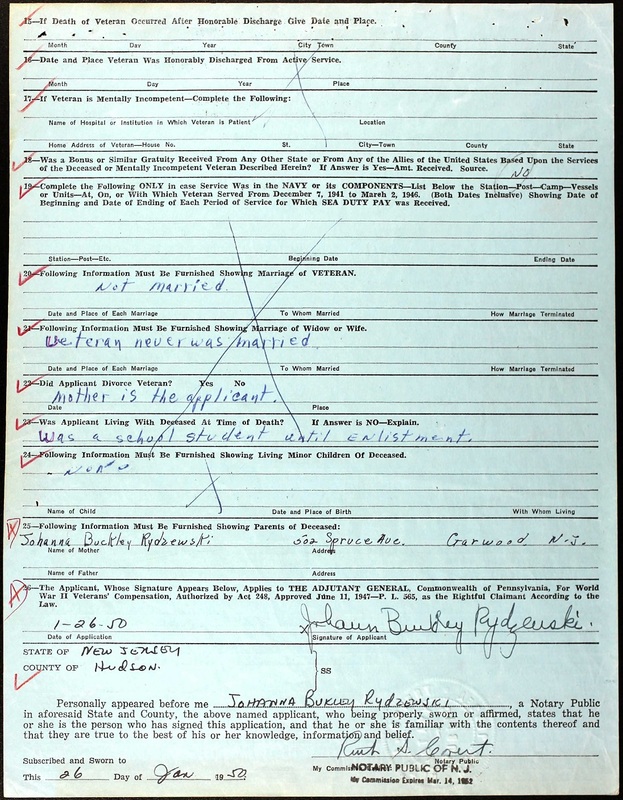 He had an older sister, Gertrude "Frances" Boone Sheahan. 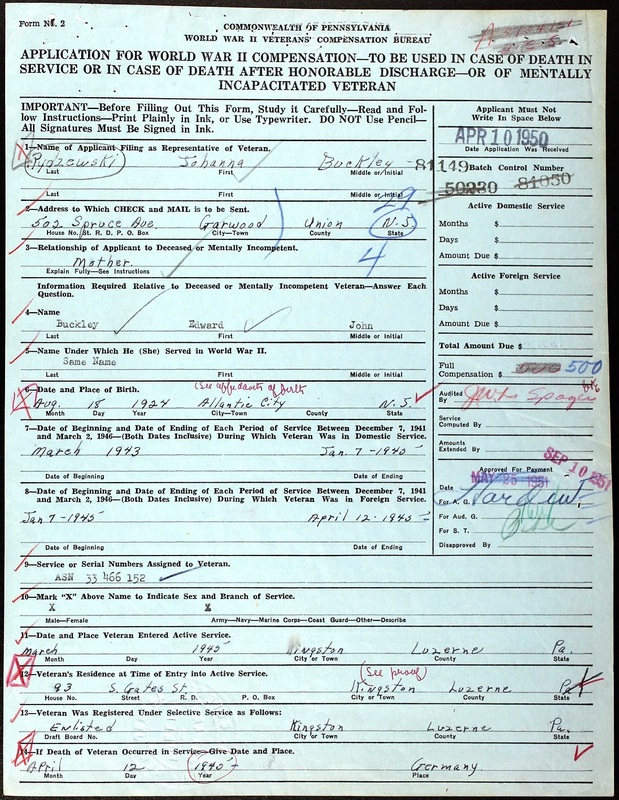 From before 1935, he lived in Wilkes Barre, PA with his Aunt Elsie and Uncle Ray Williamson. He graduated high school in Wilkes Barre in 1943 and was enlisted in the US Army from Kingston, Luzern County, Pennsylvania on March 17, 1943. 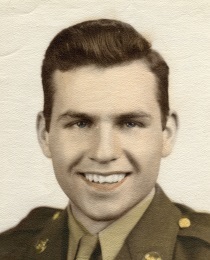 He was deployed to Europe on January 7, 1945 as a Technician Fifth Grade. 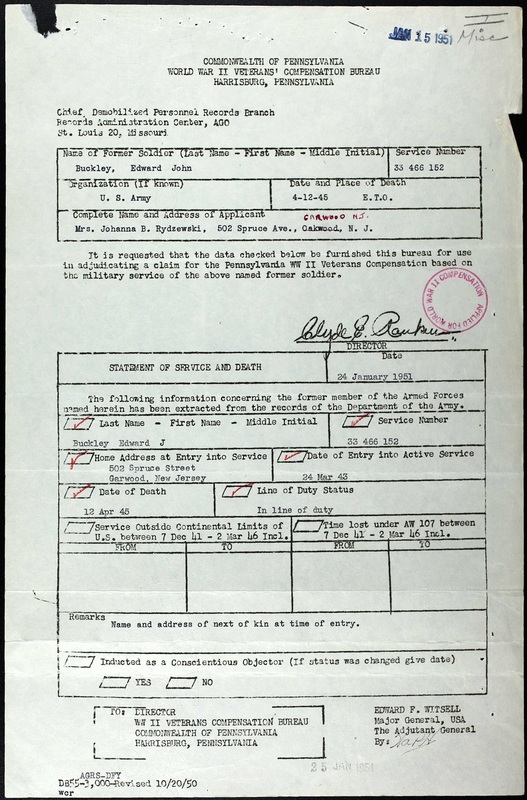 He proudly served his country as a member 83rd Reconnaissance Troop of the 83rd Infantry Division in the European Theatre until he was KIA on April 12, 1945 near the Elbe River, in Barby, Germany, just three weeks before the German surrender. 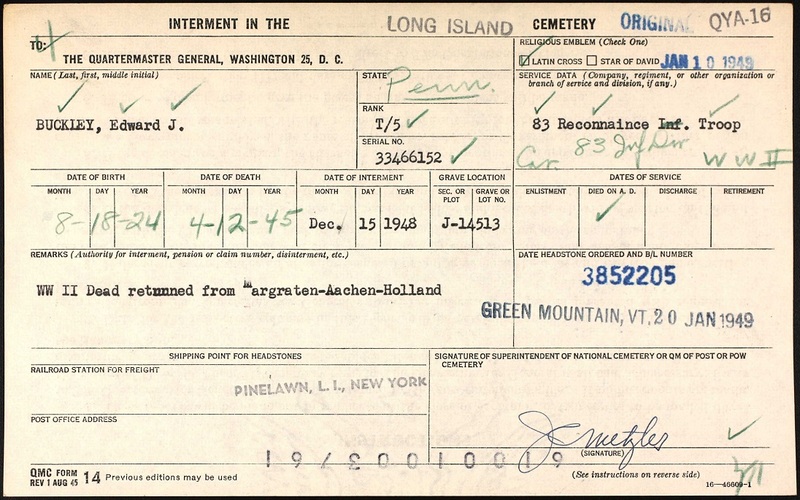 Edward John Buckley was first buried at the US Military Cemetery of Margraten, The Netherlands, before his remains came back to the US and were buried at the Long Island National Cemetery, Farmingdale, Suffolk County, New York, USA.